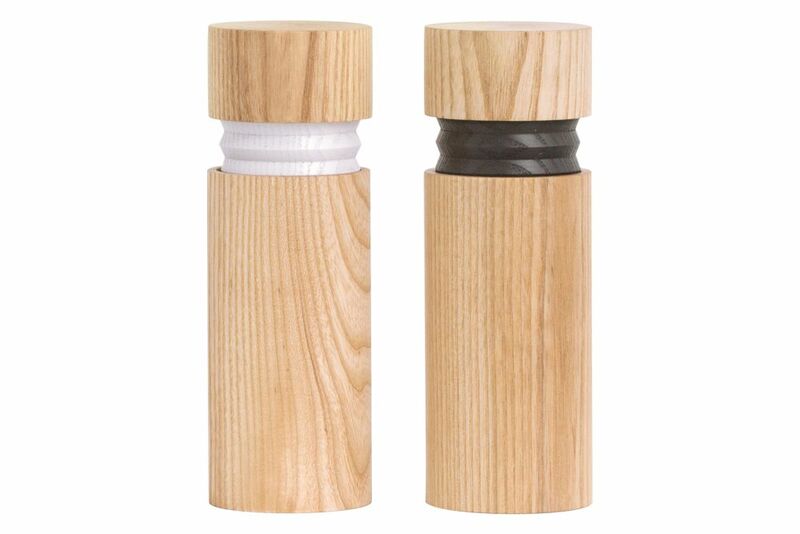 This salt and pepper grinder set has a simple, strong form with a concertina design detail separating the top from the base of each mill. Made from solid ash, the handcrafted product is named after the similar concertina shape of bellows, traditionally used to blow air into a fire. Designed to be in stark contrast to others on the market, the Bellow mills express their use with minimal simplicity. In an effort to try and allow the real materials to sing, we set along a path to create a new, yet simple and recognisable silhouette capable of being a canvas for future material and colour combinations. Its minimal style allows it to be a versatile product suiting all dining tables in both domestic and professional environments.